A bill heralded by lawmakers as a victory for thousands of homeowners harmed by contaminated drywall was weakened after input from the homebuilding industry. Last week, federal lawmakers trumpeted the passage of the Drywall Safety Act of 2012 as a bipartisan victory for thousands of homeowners harmed by contaminated drywall. "This is a bill about protecting American families — their health and financial well-being," said Rep. Scott Rigell, R-Va., the measure's primary sponsor in the House. "It is up to Congress to ensure that preventative standards are in place so no American family is faced with the hardship and heartache from contaminated drywall ever again." But the bill doesn't actually set preventative standards. Instead, it asks an industry association committee comprised mostly of drywall manufacturers and builders to develop voluntary limits on sulfur content in drywall for the government to enforce. 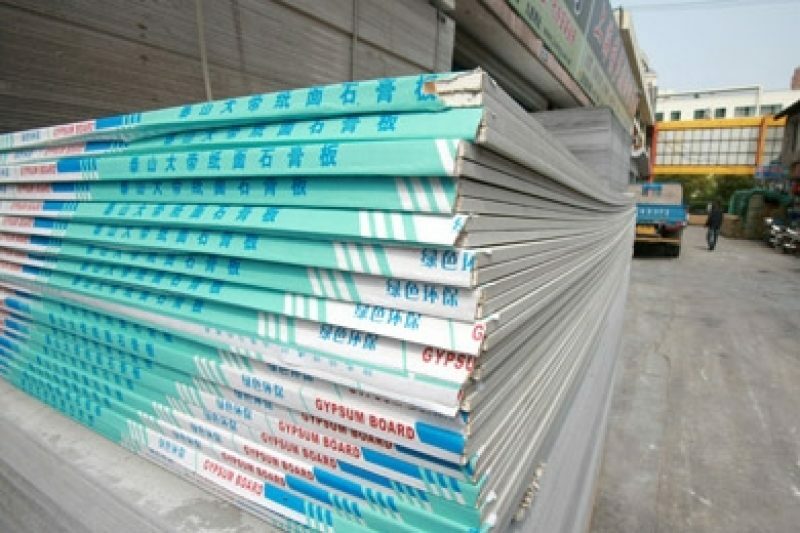 The measure was prompted by widespread problems with drywall, mostly imported from China to rebuild after Hurricane Katrina. The board emitted high amounts of odorous sulfur gas, triggering respiratory problems for residents and causing household electronics to fail. ProPublica and the Sarasota Herald-Tribune uncovered deep flaws with how the government dealt with contaminated drywall in 2010 and 2011. The Consumer Product Safety Commission, which led the years-long federal investigation into the problem, still doesn't know exactly what caused the drywall to emit gas, so it's unclear what impact a sulfur content limit will have. The first version of the bill, proposed by Rigell in March 2012, stipulated that contaminated drywall be treated as a banned hazardous substance and included criminal and civil penalties for those who sold it or built with it. But the bill was gradually watered down by building industry lobbyists and their allies. First, the House Committee on Energy and Commerce struck out Rigell's provisions on enforcement and penalties. The revised bill instead directed the CPSC to develop labeling to make sheets of wallboard traceable to the original manufacturer and to set a limit on sulfur content inside drywall or adopt a "voluntary standard" set by the industry. Those changes weren't enough to satisfy the homebuilders' lobby. The National Association of Home Builders' top lobbyist, James Tobin, wrote an open letter to Speaker of the House John Boehner, R-Ohio, in September 2012 saying the measure still gave the CPSC too much power. Industry should be assured an opportunity to influence any rule to come out of the bill through a public comment process, the letter said. "Homebuilding is already a highly regulated industry," Tobin wrote. Letting the CPSC pick a voluntary standard, he said, "sets a dangerous precedent that will create unintended consequences." The association found an ally in Sen. David Vitter, R-La., whose constituents include hundreds of homeowners who rebuilt their houses with contaminated board. When the bill reached the Senate, Vitter placed a hold on it, then amended it to address the home builder association's concerns. In Vitter's version, the CPSC would adopt a limit on sulfur content for drywall developed by a committee of the American Society for Testing and Materials, an industry association that develops voluntary standards for a variety of building products. The same committee, staffed by a mix of builders and drywall manufacturers, was tasked with developing a protocol to fix homes with problem drywall when the problem first arose in 2008, but never released its plan. The Vitter bill also directs the CPSC to use a tracking label protocol developed by the ASTM. Neither Vitter nor the NAHB agreed to an interview for this article. When the bill was sent for President Obama's signature last week, Vitter released a press statement that the builders' association supported the proposal. Previously, the association had released a statement expressing its "sincere gratitude" for the Senate revisions. Homeowners said they had mixed feelings about the new law. Colleen Stephens, who left her home in Virginia in 2009 because of fears for her health, said she was pleased that the government will be better able to track the origins of bad drywall in the future. But she said she was disappointed the measure didn't do more to hold manufacturers and builders accountable. "I'm not thrilled with it, but it's better than absolutely nothing," Stephens said.